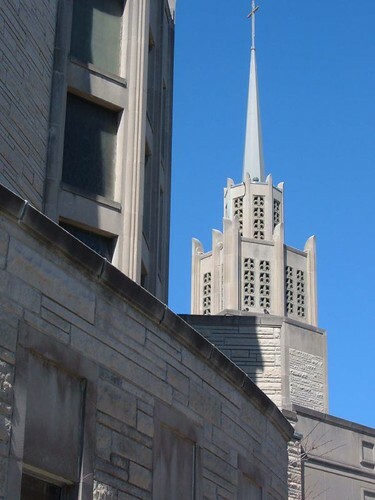 A strange fusion of Deco, Modernism and tradition, this church stands on Augusta Boulevard at N. Oakley, in the Ukrainian Village neighborhood due west of downtown. The sun never shines on the front of this building, so you’ll have to settle for a detail shot of the exterior. 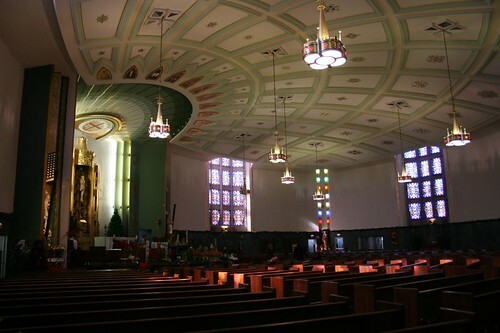 Inside, it’s not the kind of unabashed 1950s Modern I was hoping for, but it’s still of great interest — a Modern floor plan, a ceiling decorated to draw all eyes to the altar, and slits of light washing the altar in an unearthly glow. 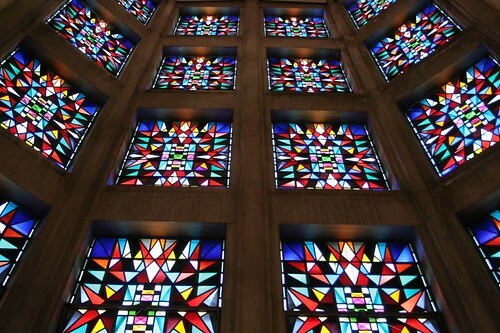 The stained glass is mostly geometric patterns in small fragments of bright, unfiltered colors. 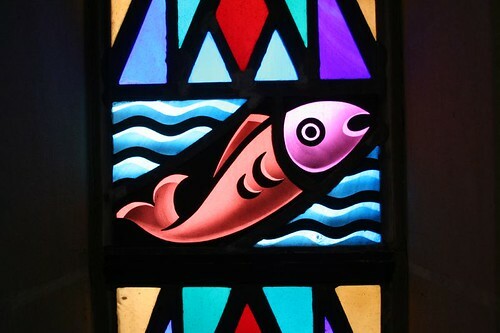 A few small designs adorn the windows of the chapel in the lobby, including this Deco-influenced stained glass fish, somewhat reminiscent of the 1950s works of the Emil Frei company down in St. Louis. I failed to note the date of construction, but I seem to recall a plaque mentioning 1963. More photos may be seen at my Flickr account. 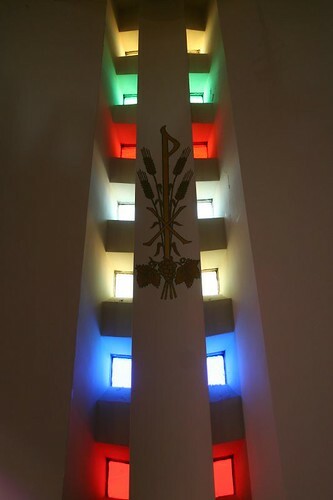 This entry was posted in Midcentury churches, Midcentury Modernism. Bookmark the permalink.